It’s an exceptionally sunny day in Glasgow and our editor is raring to meet the jewellers in the city — although this time she knows she will never make it round to all of them in 24 hours, as it is home to over thirty independent and national jewellery retailers, many of which are located in one space — the renowned Argyll Arcade. Blending together a rich history and vibrant culture, Glasgow enjoys a year-round buzz and has evolved over the last two decades to become one of Britain’s biggest shopping destinations. Whether consumers are looking for today’s biggest brands, European fashion, or vintage finds, Scotland’s largest city has everyone covered in what has been dubbed the ‘Style Mile’. The Style Mile is a square in the centre of Glasgow, which houses an extraordinary concentration of shops, including flagships from major British retailers such as House of Fraser and John Lewis. At the heart of the style mile is Buchanan Street, a pedestrian boulevard lined with architectural gems and busking bagpipers, alongside an entrance to a shopping centres Buchanan Galleries and Princes Square, and the Argyll Arcade. Store wise, House of Fraser takes over a large space, and designers such as Michael Kors stand on the street alongside national fashion chains such as Zara, New Look, H&M, and Monsoon. Another major shopping road is Argyll Street, which houses another entrance to the Argyll Arcade, as well as several entrances to one of the city’s shopping precincts — St. Enoch Centre, which is home to Debenhams and other retail giants. 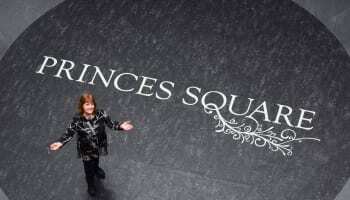 On the jewellery front, most retailers have set up camp inside the shopping centres, with Buchanan Galleries hosting Goldsmiths, Ernest Jones, and H Samuel, alongside standalone stores for Swarovski, Pandora and Thomas Sabo, while St Princes Square has attracted Belfast-based jeweller Argento, British brand’s Dower & Hall and Links of London, and fine jeweller Diamond Heaven, and across the road Swarovski has another boutique inside St Enoch Centre, together with Warren James and Italian jewellery store Moriconi. 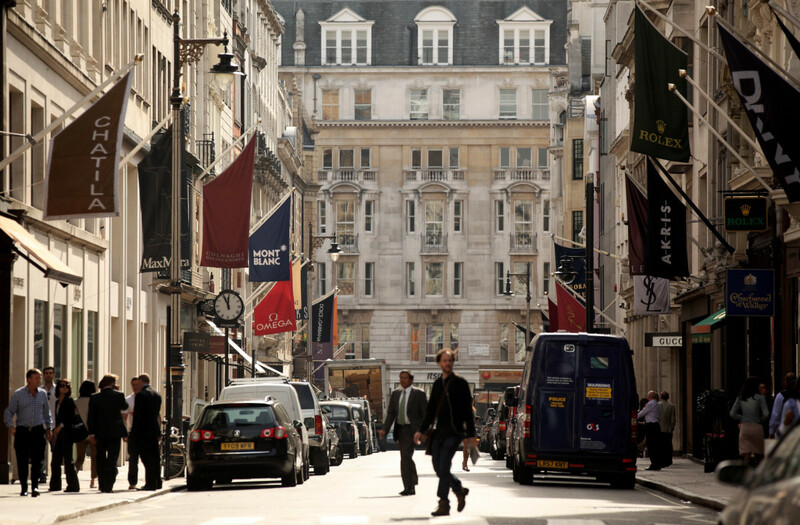 Other jewellery retailers can be found directly off these main roads, or a short walk from the Style Mile. With everything so close together it is little wonder Glasgow attracts keen shoppers. Consumers are able to spend a leisurely day in Glasgow with little parking costs and plenty of options when it comes to dining. 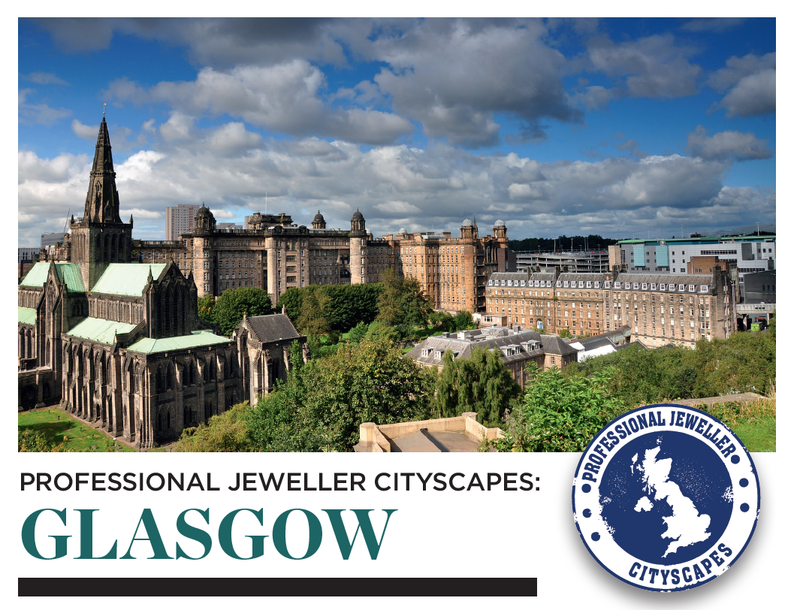 In fact, many jewellers tell Professional Jeweller that people go to Edinburgh to see the sites, and Glasgow to shop – and when shopping in Glasgow, they mean business! Walking through the Argyll Arcade first thing in the morning is truly a sight to be admired. From one entrance to the other, jewellery retail staff are outside their shops looking in the windows with clip boards, assessing the presentation of displays and noting down any empty spaces, which will need filling before the doors open to greet the day’s customers. Peering inside each store one can also witness a bustle of activity, with no person left without a job to do. This is the height of professionalism. Every jeweller is on top of their game, and they have to be because no one can fall short when the competition is so fierce. Independent jeweller celebrates 160 years in the city. As such, it came as no surprise to see staff later on in the day approaching people looking through their windows, and being proactive in driving sales. While it is Glasgow, and everyone is extremely friendly and positive about one another’s businesses, the Argyll Arcade could well be the most competitive jewellery retail space in the UK. Hosting more than 30 high-end jewellers and diamond merchants under one roof, anyone who is anyone in Scotland has a store, or two or more, in the Argyll Arcade — from Signet’s Ernest Jones and H Samuel, to Scotland-based Laings, national jewellery retailer’s Fraser Hart, Chisholm Hunter, and Mappin & Webb, and a small selection of independents. Furthermore, no other type of retailer trades inside. It’s strictly jewellery. Although this has only been the case over the last decade. Perhaps what is most unusual is that nearly every jeweller in the Arcade has multiple stores, with Chisholm Hunter trading from six units, Fraser Hart from four, Laings from three, and James Porter & Son from two. The Argyll Arcade is one of Europe’s oldest covered shopping arcades and Scotland’s first ever indoor shopping mall. The L-shaped arcade was built in 1827 in the Parisian style, with a glass roof and early Victorian architecture. Independent jewellery retailer James Porter & Son is one of the Arcade’s longest standing jewellers, with fifth generation director Simon Porter remembering a day when it was not dominated by jewellers. The company’s director tells Professional Jeweller: “We’ve been here 160 years and we’ve been in the arcade longer than anyone else. “I am the fifth generation and it has been father, son, father, son, so a lot of customers know the name because we have been here so long. Different generations have bought their jewellery here, and we’ve got old photos downstairs on the shop floor and customers love to see the original shop and the new shop and the family member in each photo.” 2018 marks the independent jeweller’s 160th anniversary, something which is being celebrated through eye-catching window displays and competitions throughout the year. In a retail environment where jewellers stand side by side, Porter believes window displays are key to boosting business and attracting customers. 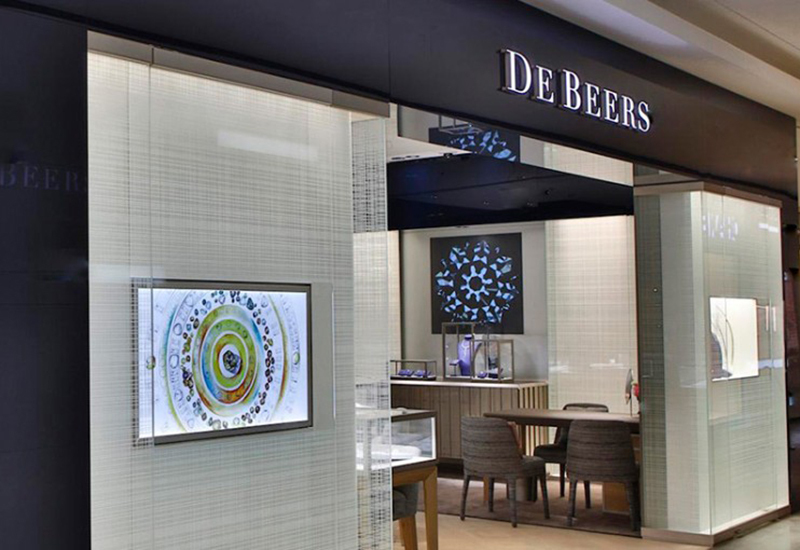 The jeweller has two stores in the Arcade, one which stocks no brands, and another which host brands alongside watches and diamond jewellery. Across the way Laings also has its heritage rooted in Glasgow, with the family-owners investing in three stores inside the Argyll Arcade. Rox uses its upstairs space to provide a luxury service during the day and host events in the evening. One store is the retailer’s flagship, while another stocks pre-owned watches, and one houses a Tag Heuer boutique. All these however highlight the company’s diamond jewellery offering, and following the re-merge of Laings the Jeweller and Laings of Glasgow, the stores are currently being revamped to reflect the same branding and aesthetic across its portfolio so each store is easily recognisable as being connected to the other. Alongside rebranding the flagship is currently in the middle of a major refurbishment that has included expanding the upstairs space, introducing a design and valuation room, and rearranging the downstairs to showcase more jewellery and branded areas. 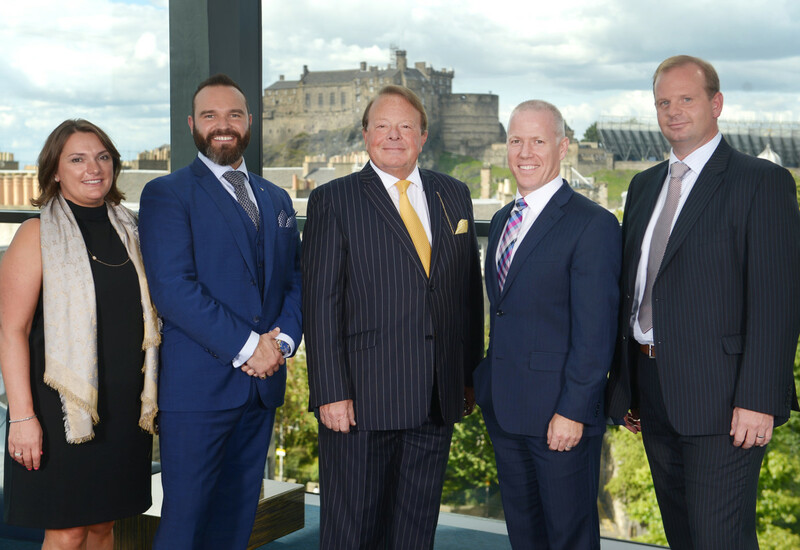 Business for Laings in Glasgow is 17% up, with the jeweller selling to a mixture of loyal customers and visitors who enjoy visiting the retailer for its history and heritage in the city. In the Arcade, Laings exclusive stocks jewellery brands Mikimoto and Fope, and watch brands IWC and Patek Philippe. However, the retailer would not say that’s its main unique selling point in the city. Located in between a couple of Laing’s boutiques is Rox Jewellers, which was founded on the very basis that owners Kyron Keogh & Grant Mitchell wanted to create a jewellery shopping experience unlike anything else on offer in the Arcade, or anywhere else in the UK. Rox managing director, Kyron Keogh, explains: “We had this idea of creating a space that is different to everyone else, because there are 30 jewellers in here! 10 years ago everyone looked the same and there was research done which revealed when people left the arcade and were asked where they had shopped, they had to check the name on the bag because the offer was so homogenised. So we asked ourselves, how do we stand out? What can we do to differentiate the experience here and try and out service everyone else? The space Keogh is referring to is the upstairs of the store, which is very modern and unique, featuring a big mirror on one side, and a champagne bar on the other. Once inside Rox, you are taken from the vintage feel of the arcade, into a contemporary, and extremely welcoming, environment. Understanding the importance of the space they have, the store owners make the most of it from dusk to dawn. When asked if Rox is tempted to take up more space in the Arcade like its competitors, Keogh says never say never, but no plans are currently in the pipeline for the near future. Above the Arcade James Brown Jewellers captures the customers who can’t find what they need downstairs. The family-run business is a bespoke jewellers in the city, which offers shoppers everything from repairs and gem polishing, to unique touches on engagement rings and abstract designs. When someone purchases a piece from James Brown, it is created specifically for them, and they can see into the workshop where it is made, meet the team, and know their jewellery will never leave the premises. An impression of what the refurbished Chisholm Hunter boutique will look like. The workshop may not look like the stores downstairs, but its packs a big punch with its friendly service, expert knowledge, and ability to build trust with customers. With business booming, James Brown is currently in the middle of extending its showroom, and the team are embracing social media to showcase to customers exactly what this jeweller can do – which is a lot. The work coming from James Brown is impressive, with the latest commissions including a cocktail choker adorned with a 9.5ct trillion amethyst, and necklace for an Elvis fan, which features his iconic house and meditation garden. Across the road in Mitchell Lane, Harkness Premier Jewellers, which won the National Association of Jewellers’ Workshop Employee of the Year award last year, is another hidden gem. Harkness Premier Jewellers was founded by stone setter and designer Stuart Harkness in 2014. 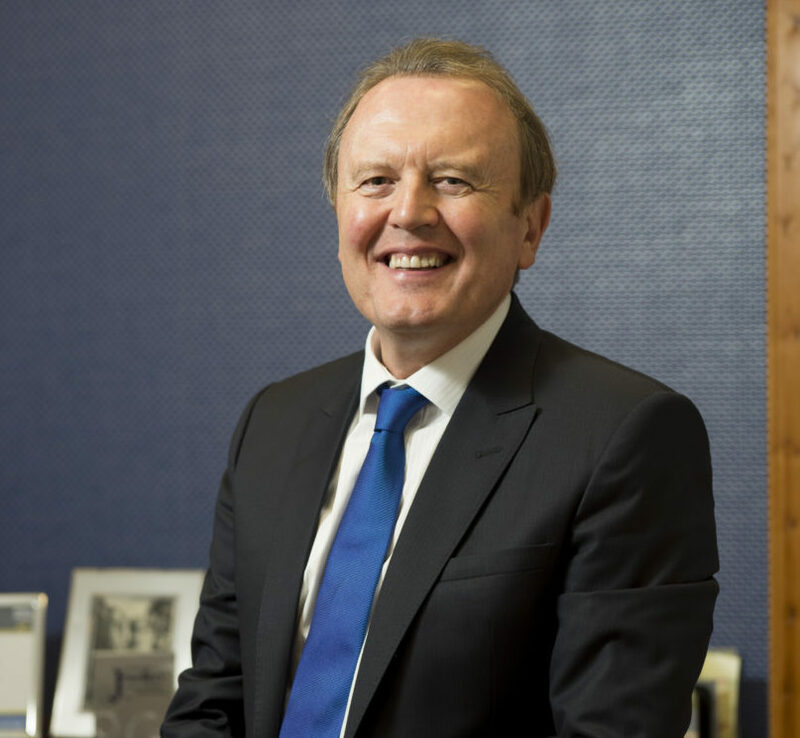 Despite only launching four years ago, the business has grown rapidly (having to move three times to meet expansion demands) and today Harkness Jewellers has 140 customers UK-wide, and works predominantly with high-end jewellery retailers. While Harkness offers all sorts of repairs and works on bespoke commissions, at the moment, a lot of business is coming from engagement rings, with the team currently doing a lot of diamond setting. Elsewhere in the city, jewellery designer Euan McWhirter has a studio where he creates an exceptional selection of bridal and costumer jewellery, which is sold online and in a selection of independent stores. Each of Laings’ stores in the city have a USP. The designer says he gets a variety of customers, but if he had to sum them up he would say they are women with a strong sense of style. On top of creating pieces which can be sold off the shelves, McWhirter also has a bespoke arm of the business, and works closely with Glasgow jeweller Brazen Studios on these. Brazen Studios is located near Glasgow Central Station in the Art Nouveau Building on Vincent Street, and recently transition from a retail space into a design studio in order to focus on the growing bespoke side of the business. 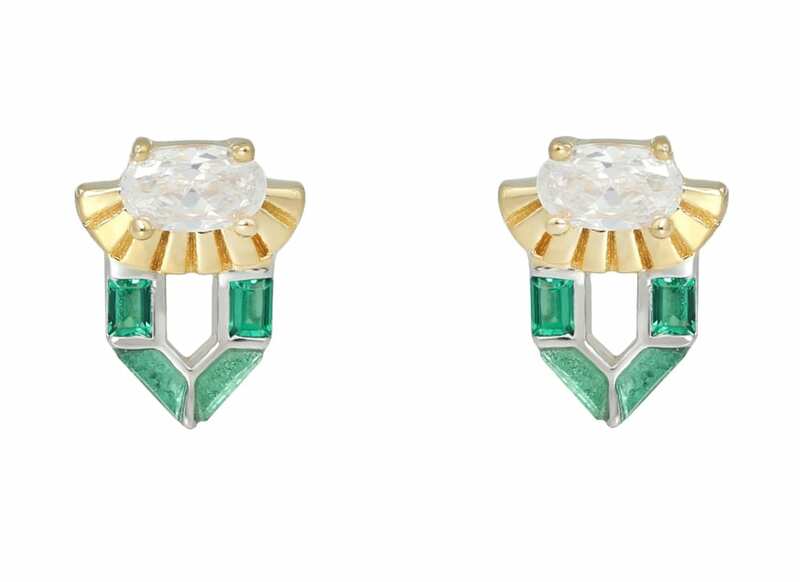 “ We try and create little points of difference that differentiate the pieces while paying attention to proportion, balance and colour,” Raffel adds. Despite being off the main high street, Blazen Studios is still in the heart of Glasgow and is easily accessible. Plus, a location on the 7th floor provides visitors with rooftops views over the city. On a whole, business in Glasgow is good for the many, many, jewellery retailers located in the centre. 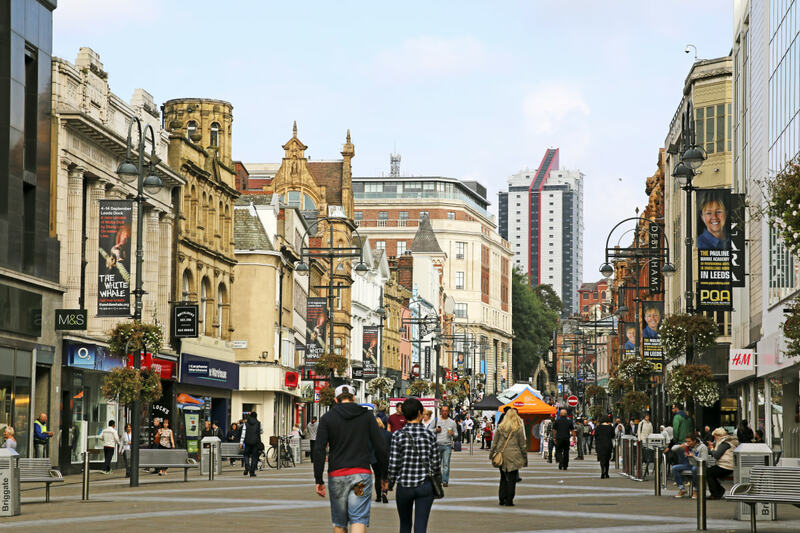 While they are not adverse to the elements impacting retailers up and down the country, the city is in a strong position because when consumers come to the Style Mile, they come to shop, and its known as a place to buy jewellery from high-quality companies. The weather however is a problem, especially this year with the beast from the east causing havoc, but for the most part the city does its part to help attract visitors and help boost business for all. 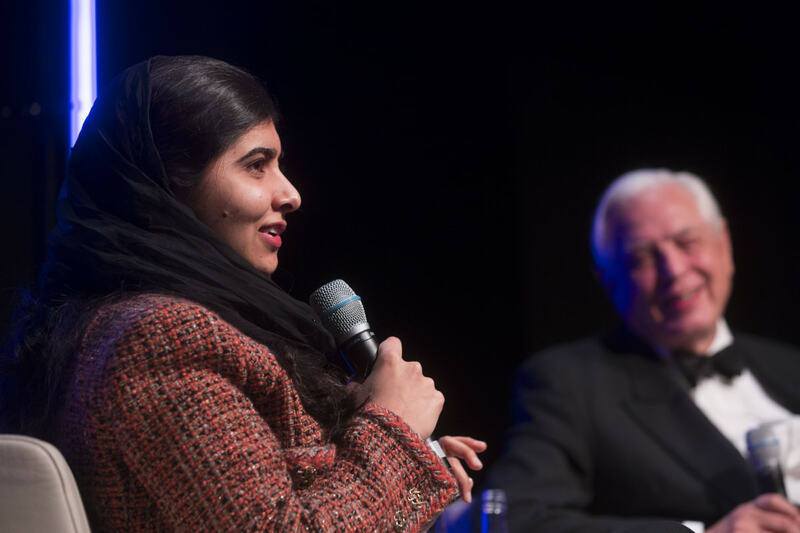 Glasgow often has events on that pulls people in, and the SSE Hydo has been great for business since it opened around four years ago. Overall, Glasgow is a bustling city, with plenty to offer. Shops are larger than other areas in the country, and customers certainly don’t need go far to get whatever they need, and experience excellent customer service. 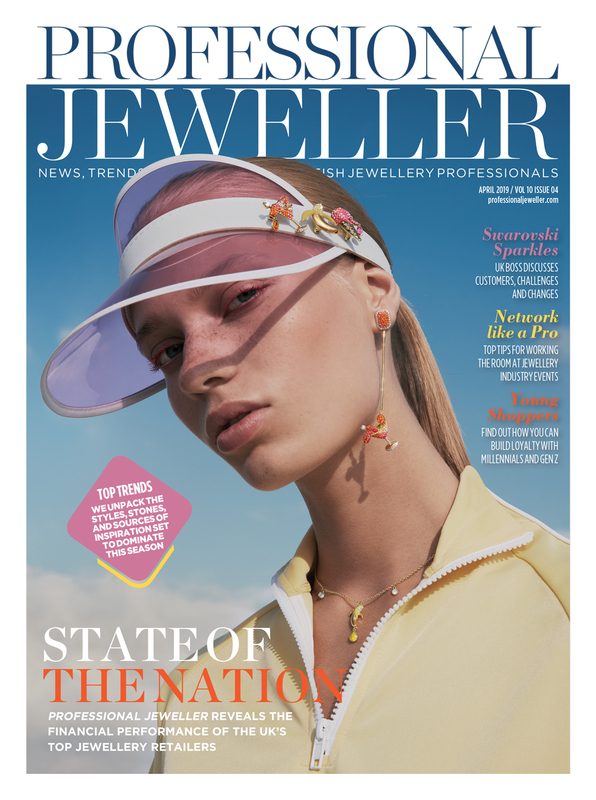 As for the jewellery industry, it’s continuing to go from strength to strength as the stores invest in their staff, retail environment and customer service.